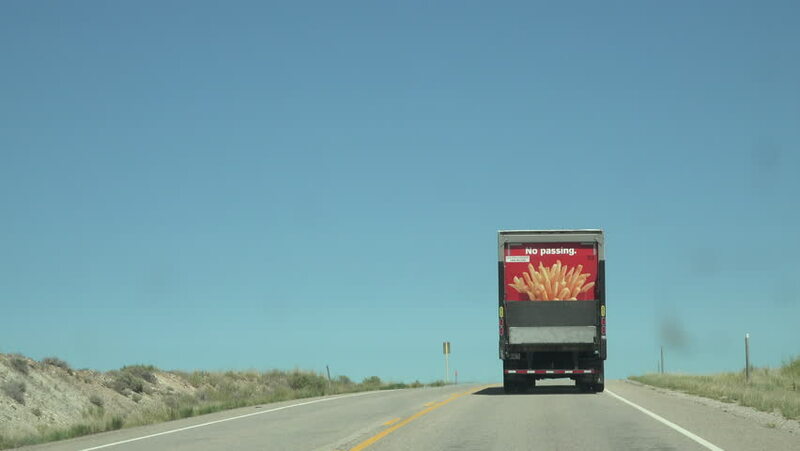 MOAB, UTAH - JUL 2015: Follow no passing truck dry desert landscape POV 4K. Driving through desert near Moab, Utah point of view. Arches and Canyonland US National Park is in eastern Utah.